You may not realize it right away, but savings accounts are the safest and most low-risk way to invest. When you save money, you do earn a small but reliable annual interest. Even if the economy collapses, your savings won’t disappear. Your money in savings accounts are insured and banks are bound to repay you even if they are going under. So, if you don’t want to go out there and invest, opening a savings account now will be a good option. If you don’t withdraw money and let it last for several decades, you will have handsome returns by the time you retire. Bonds are considered another low-risk and “safe” investment. Remember that no investment is completely risk free. Bonds are no exception. However, bonds are a good way to make money without risking your assets too much. Just be careful about which government you buy bonds from. Wealthy and industrialized nations with political stability are the best to invest in with bonds. If you can buy a property, then you would be making an investment without getting involved with stocks. Real estate is a time honored investment option that all wage earners are encouraged to consider. If you don’t have large sums lying around to buy an apartment complex, consider REIT alternative investments, which are less risky than stock. No one, except the very rich and financially savvy, thinks about investing in gold. That’s largely because gold prices fluctuate a lot and have no real value when the economy is doing well. The real value of gold only becomes clear when there’s an economic downturn. 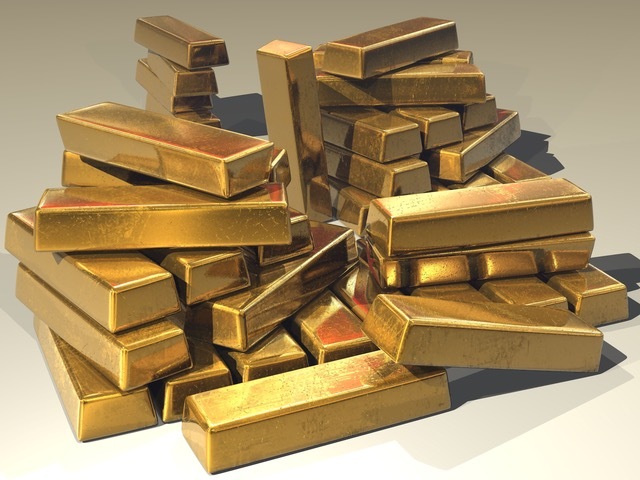 When currency loses value, as it would in a recession, the price of gold goes up. So, if you are worried about how the economy would do by the time you retire or by the time the kids are old enough to go to college, invest in gold. Don’t buy gold stock, buy gold coins or put money in gold ETFs. This is the best way to protect your wealth against economic downturns. Fixed deposits are like savings accounts, but where you deposit an amount initially and never withdraw. Like bonds, FDs have an expiration date. If you can set aside some money right now in an FD, in two to ten years, you could have it back multiplied many times over. FDs, like savings accounts, are low-risk investments. They also require little work in terms of doing financial research. The above options are also great to diversify your portfolio if your investments are primarily in stocks. The more diverse your investments are, the less risk your overall wealth will be subjected to. Want Something More? Then Do Something DIFFERENT!